How much money your competitors spend on each auction? 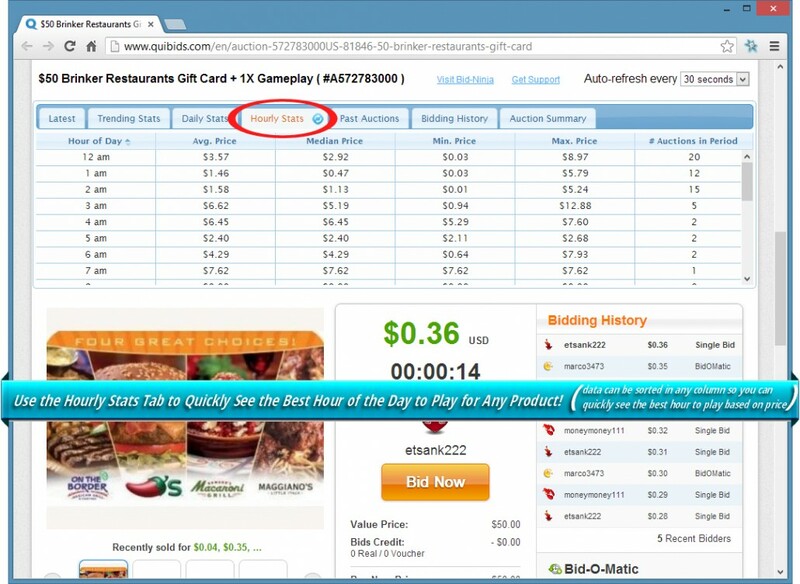 Whether they’re using cash or voucher bids (QuiBids only)? Which other auctions they’re bidding on? Each competitor’s overall winning percentage? Bid-Ninja answers these important questions and so much more! The best day of the week to bid on an auction. 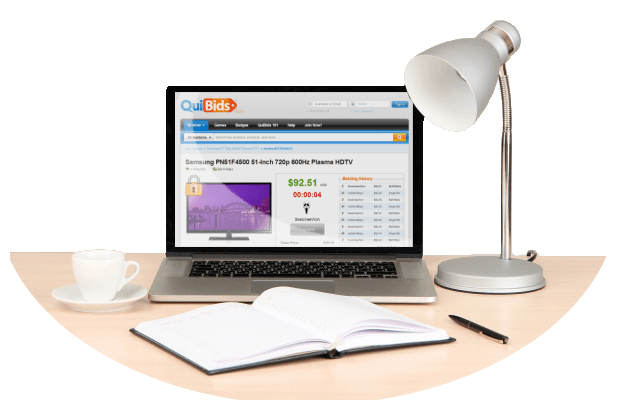 The best time of the day to bid on an auction. Whether prices are trending up or down. Our complex algorithms do the heavy lifting in the background. 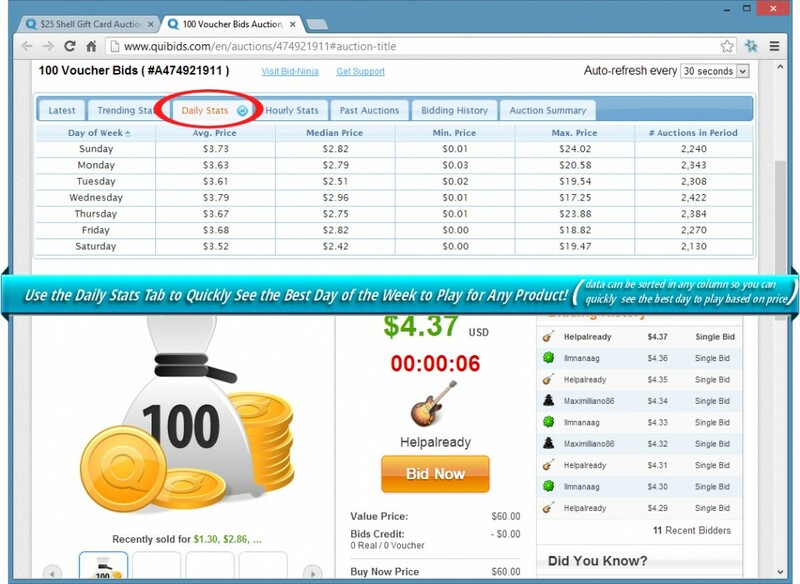 You get actionable auction stats right at your fingertips! 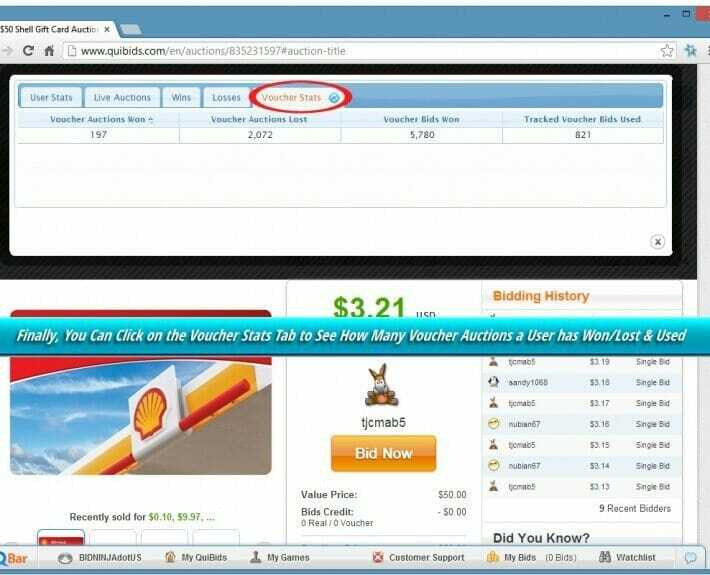 Win auctions even while you’re not in front of the computer. Have more time doing whatever it is you like to do! 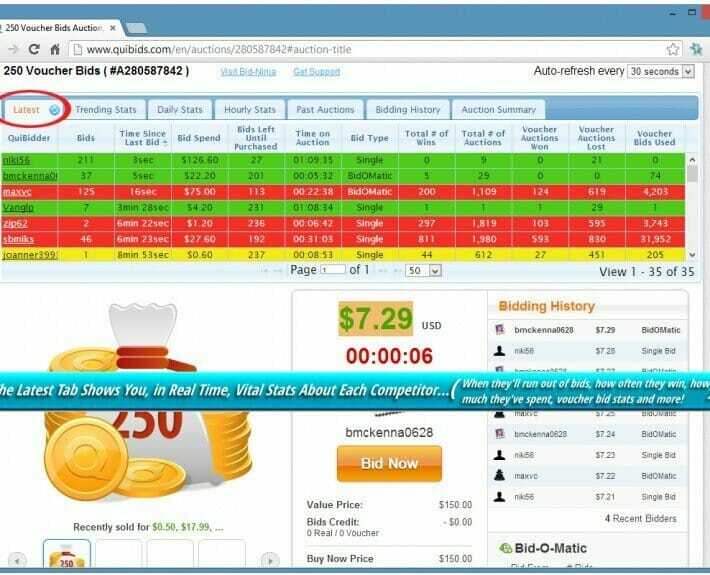 Who Knew Bidding Could Be So Easy, Yet So Effective? BID SMARTER. 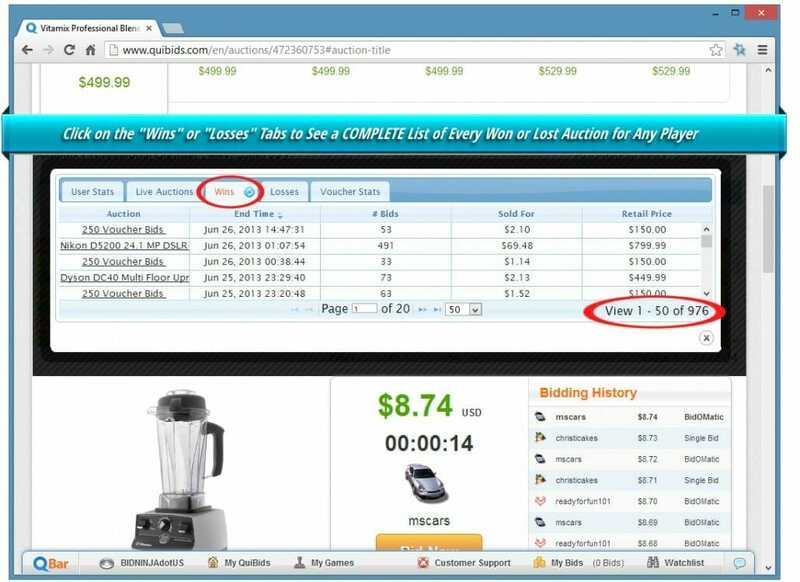 Bid-Ninja Analytics provides complete statistical analysis for each competing bidder and auction. BID FASTER. 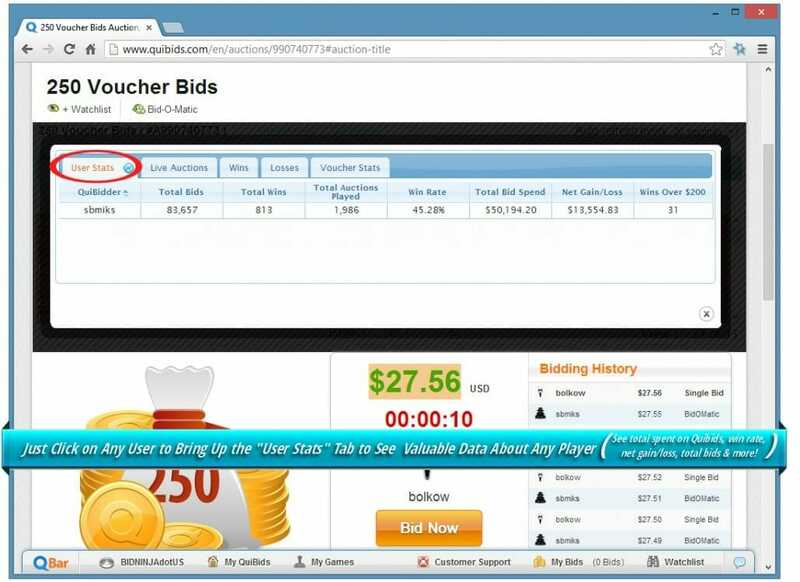 BidBuddy® places bids for you automatically with an easy-to-use interface. WIN MORE. 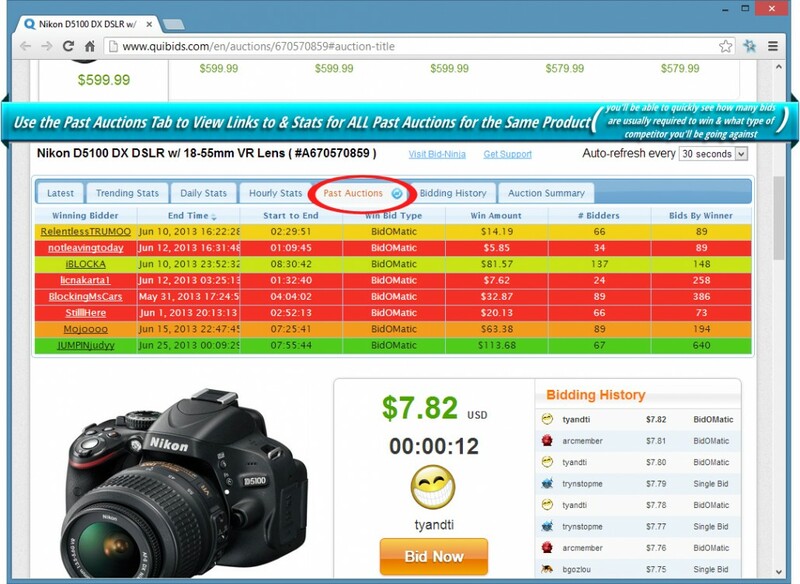 Bid-Ninja gives you valuable information, so you can win more auctions while using less bids. 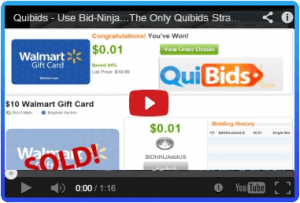 Press Play to See Bid-Ninja in Action! 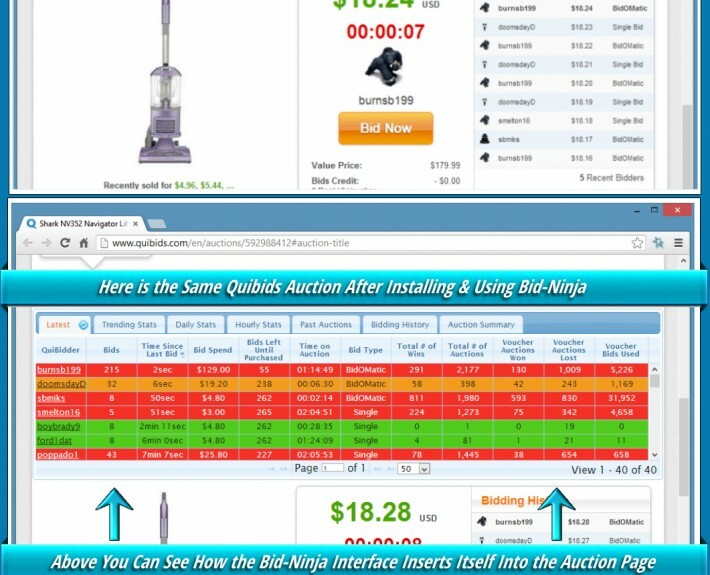 The demonstration video shows Bid-Ninja in action on a QuiBids auction, however the software behaves the same way on DealDash, as well. 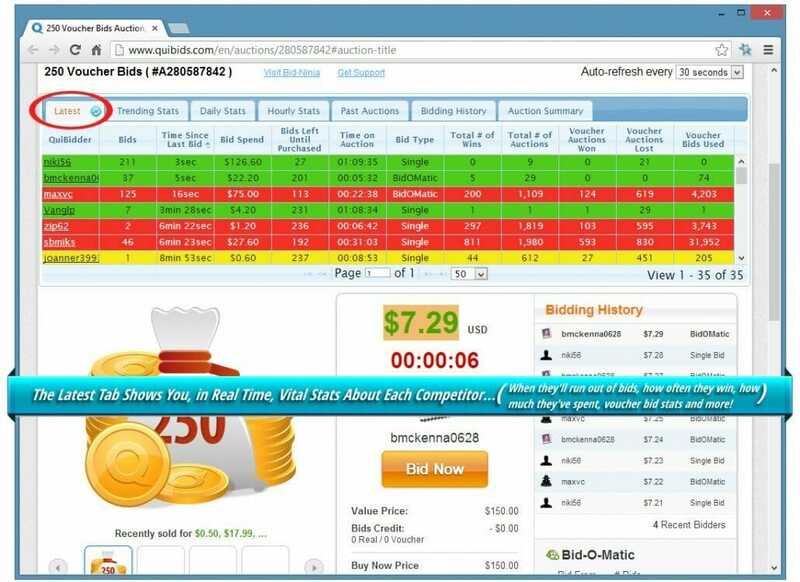 Since each auction website has some unique features and ways to play, the displayed Bid-Ninja stats & analytics will vary slightly. 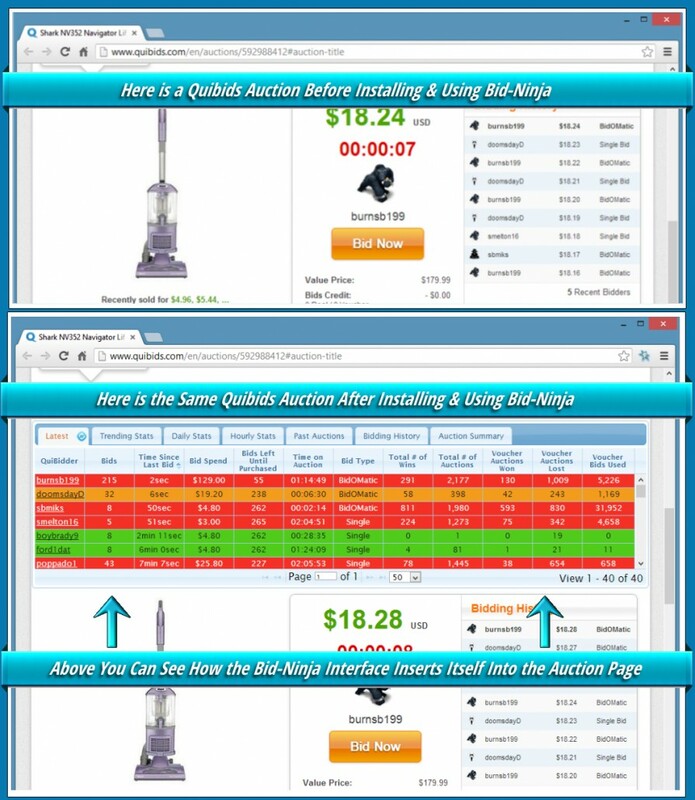 Bid-Ninja is extremely easy-to-use and provides powerful information. Soon you’ll be slicing right through your auction competition. Go ahead and start your free trial, today. 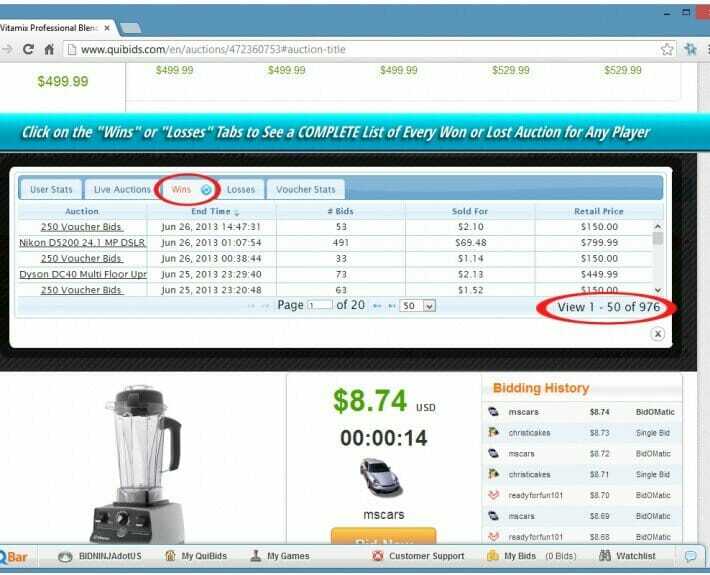 Bid-Ninja Knows Everything About Every Bidder … Even You! 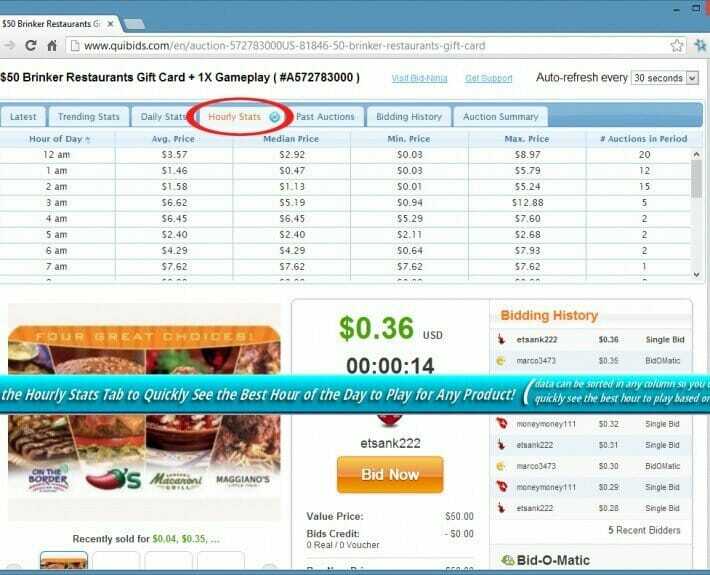 How Does Bid-Ninja Know This Information? Imagine sitting down at your desk with a pen, notepad, calculator, and cup of coffee. 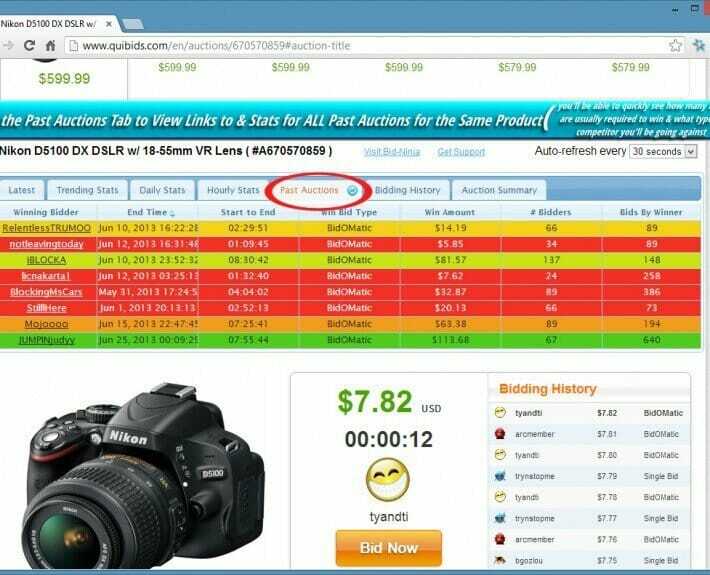 You fire-up your computer and open up an upcoming QuiBids or DealDash auction. 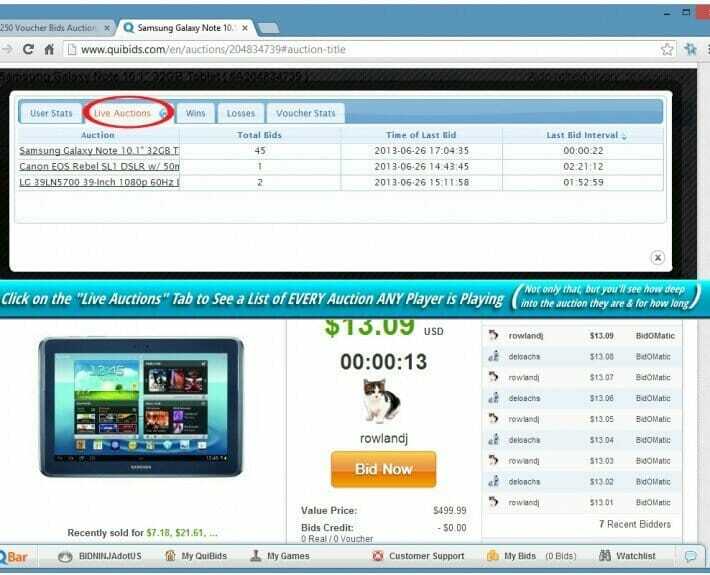 Once the auction is over, calculate and analyze all bids by user and auction type (for example, an iPad) recorded in your notepad. You’ll need to repeat this process thousands upon thousands of times over the many days, weeks, months, and years! Or, save your time and simplify the process — let Bid-Ninja do the the work for you! How Does Bid-Ninja Get The Information? 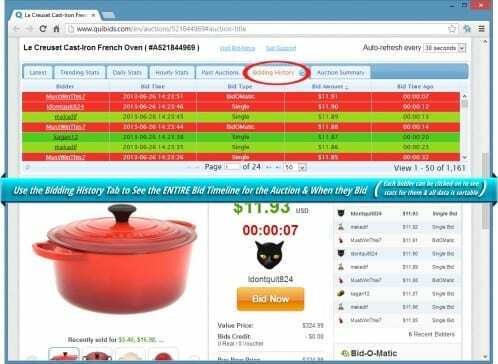 Bid-Ninja utilizes massive cloud servers to gather and store millions of penny auction statistics. 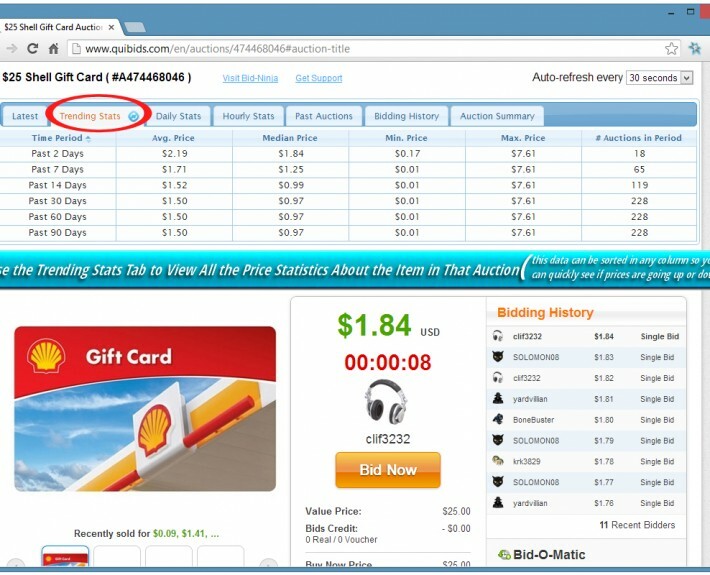 The servers monitor every single QuiBids and DealDash auction and every bid placed by every user on each of those sites (24/7/365). The information is collected and analyzed in real time (details on the stats shown below and on our features page). 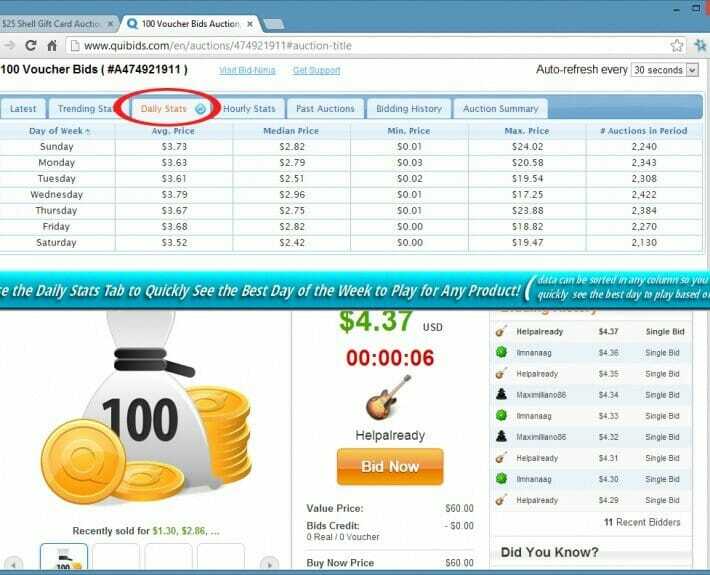 The results are then displayed to Bid-Ninja users directly on their screens via the Bid-Ninja browser plugin (available for Chrome and Firefox). 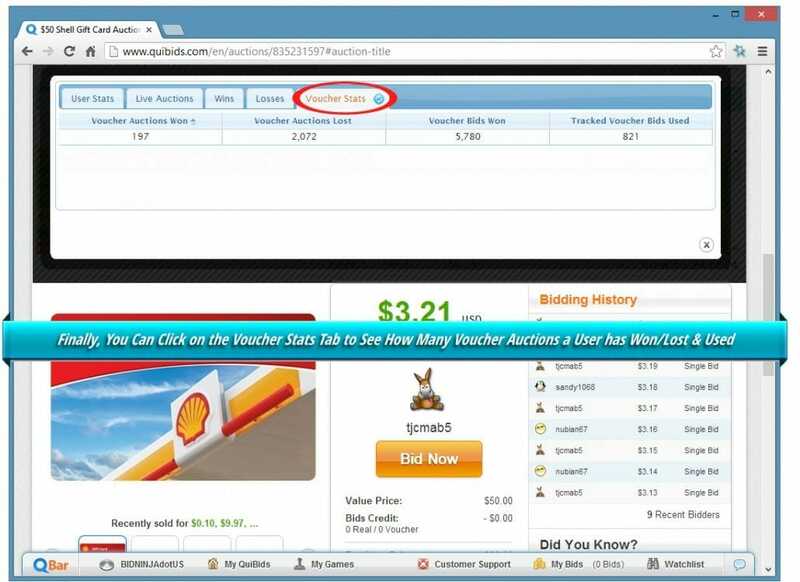 BidBuddy (Bid-Ninja’s friendly autobidder) is also inserted right on the auction page. It’s important to emphasize that the information is provided in real-time! 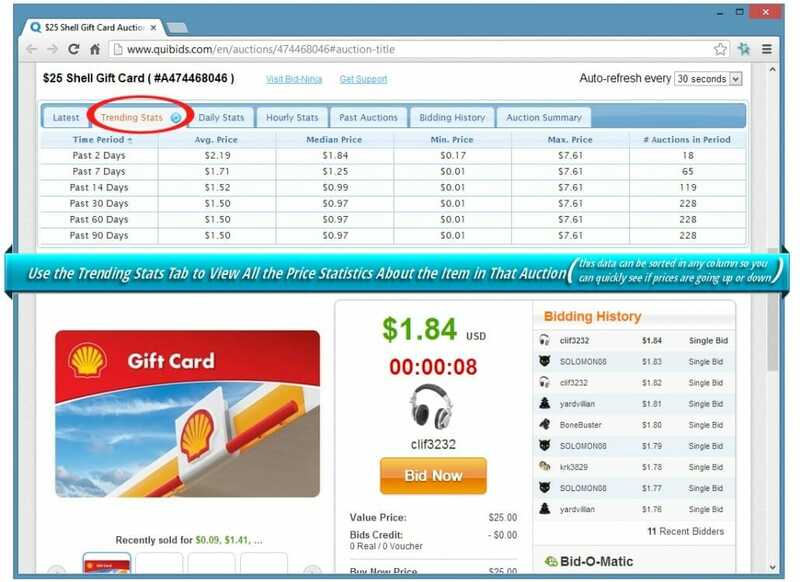 For example, once you open a live QuiBids or DealDash penny auction, each bid will be displayed on your screen within milliseconds of being placed. How Does Bid-Ninja Help You Win More? 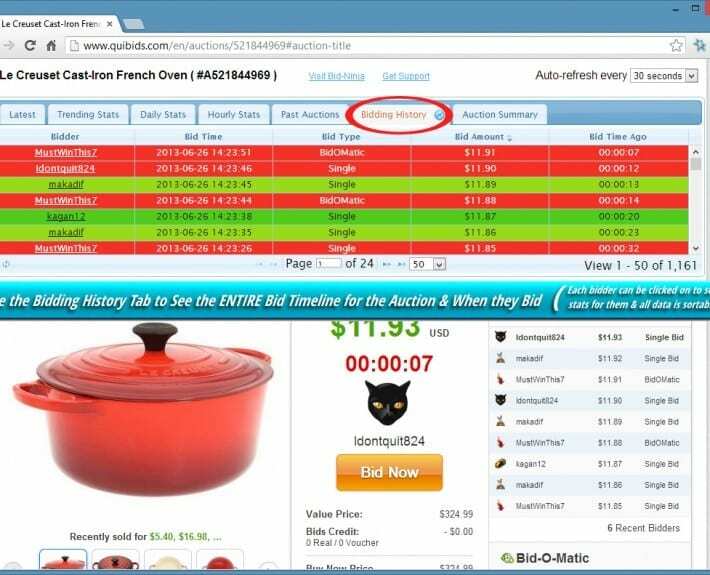 Bid-Ninja provides historical and real-time statistics & analysis for every QuiBids and DealDash auction. This information is displayed on your computer screen in a simple to use format. 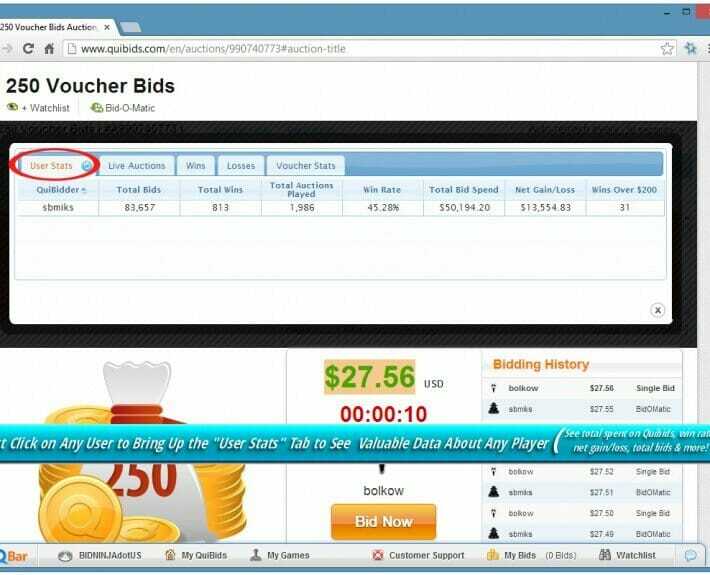 Armed with this knowledge, you’ll get valuable insight on your competition, such as the number of remaining bids each user has and whether he/she is using real or voucher bids. Bid-Ninja will even tell you the best day of the week and time of the day to play for a particular item. 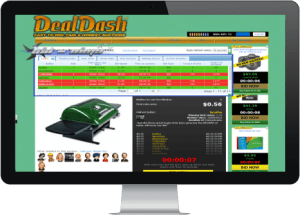 This valuable information gives you a competitive advantage that will allow you to WIN MORE WITH LESS BIDS! 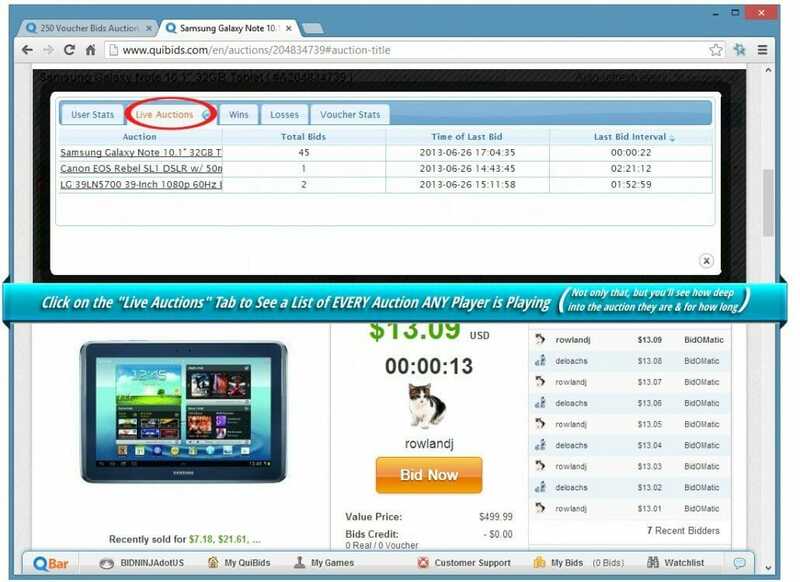 Upon installing the Bid-Ninja browser plugin (using either Chrome or Firefox), browse to any Quibids or DealDash auction and the Bid-Ninja Analytics and BidBuddy® will be seamlessly inserted directly into the auction page. The best part? Bid-Ninja is 100% completely & totally undetectable. NOBODY will know how you’re getting the upper hand!